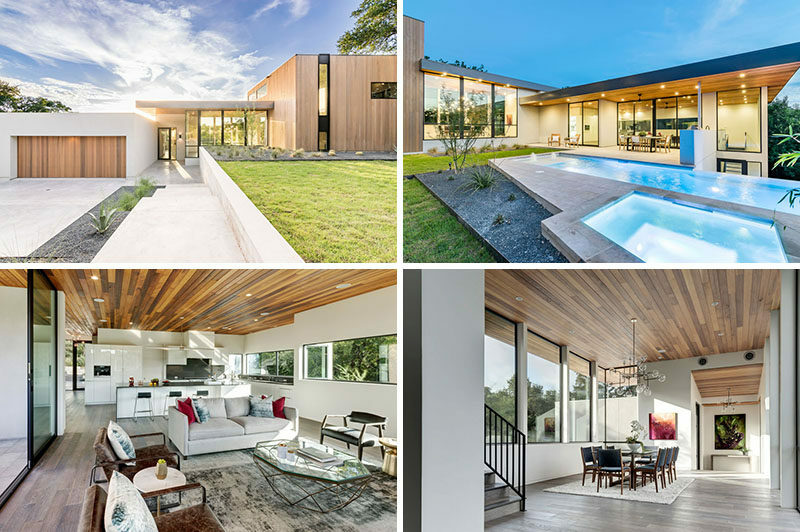 Matt Fajkus Architecture have designed this family home in Austin, Texas, that’s filled with natural light throughout. 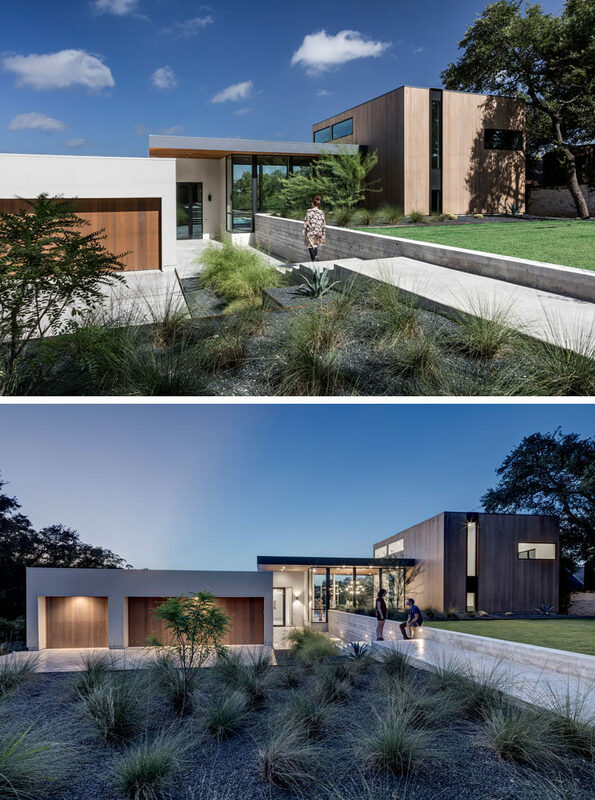 At the front of the home, a concrete path surrounded by landscaping leads you down to the front door. To the left are the garages and driveway, and to the right is the dining area and media room. 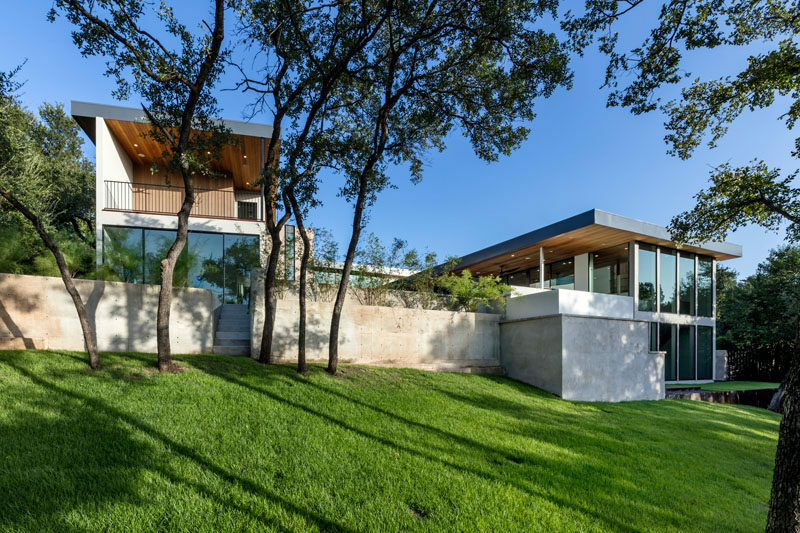 Above the sloped backyard and at the back of the house, there’s another smaller grass lawn with landscaping, as well as a pool that looks out over the trees. There’s also a covered outdoor patio area with built-in barbeque and kitchen. 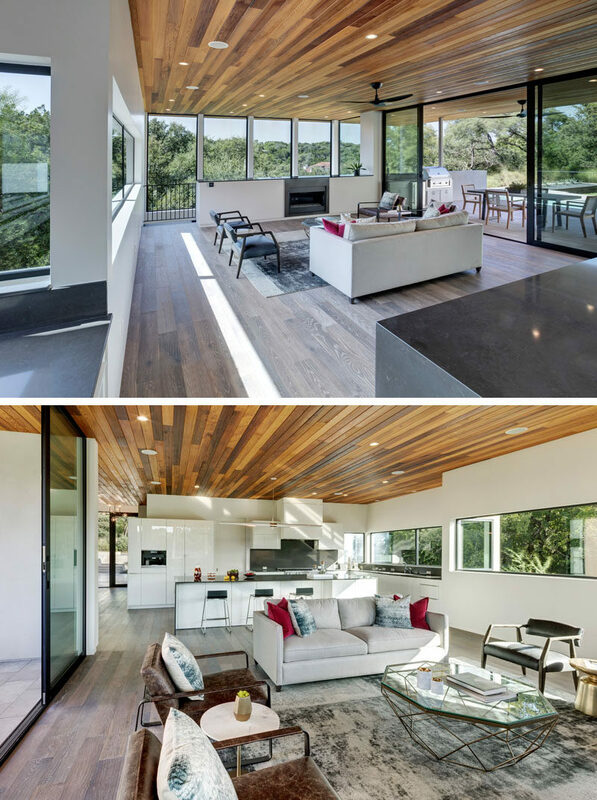 From the outdoor patio, the wooden ceiling carries on through to the interior of the home. The living room is surrounded by windows, and behind the living room is the kitchen. The mostly-all white kitchen is broken up by a dark countertop on the island and backsplash. The kitchen island is large enough to seat multiple people, ideal for entertaining. 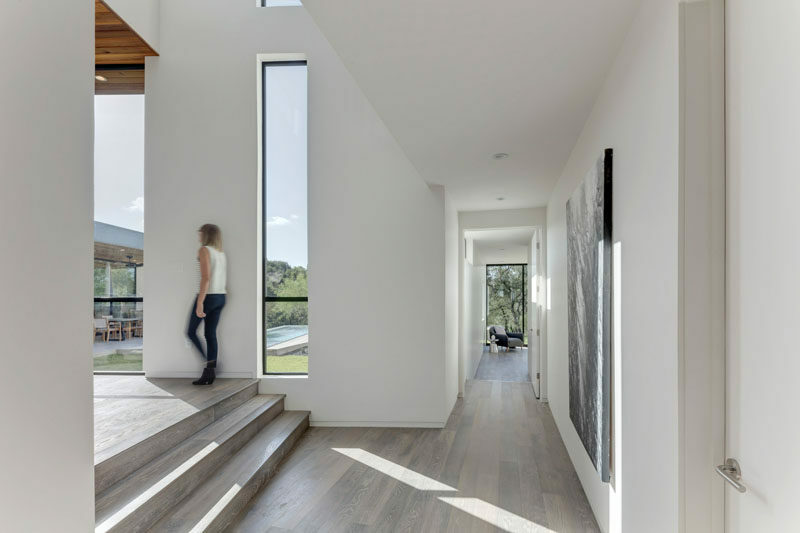 Light wood flooring has been used throughout the home. 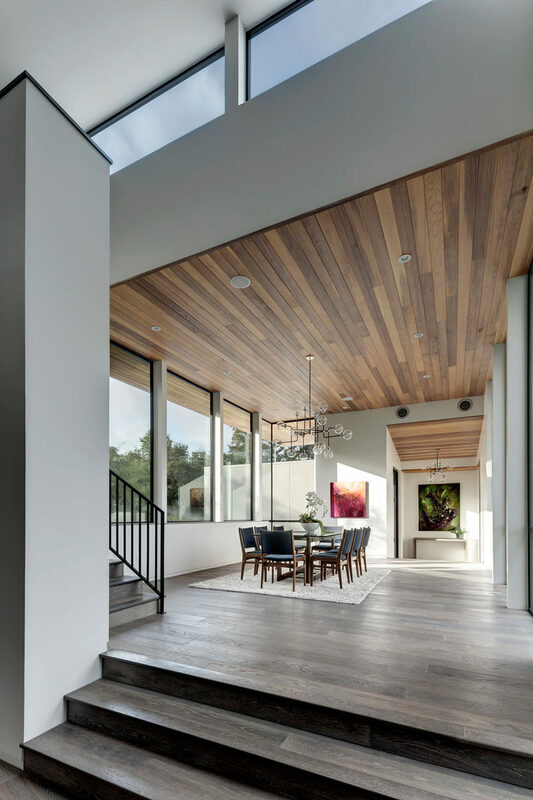 In the dining area, a high ceiling covered in wood, large windows, and large contemporary chandelier make the space feel dramatic. 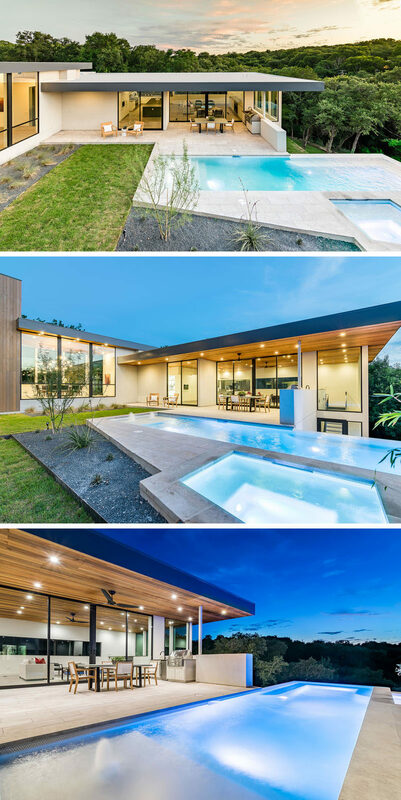 One of the home’s bedrooms has a double sliding door, allowing it to be completely open to the backyard and pool area. 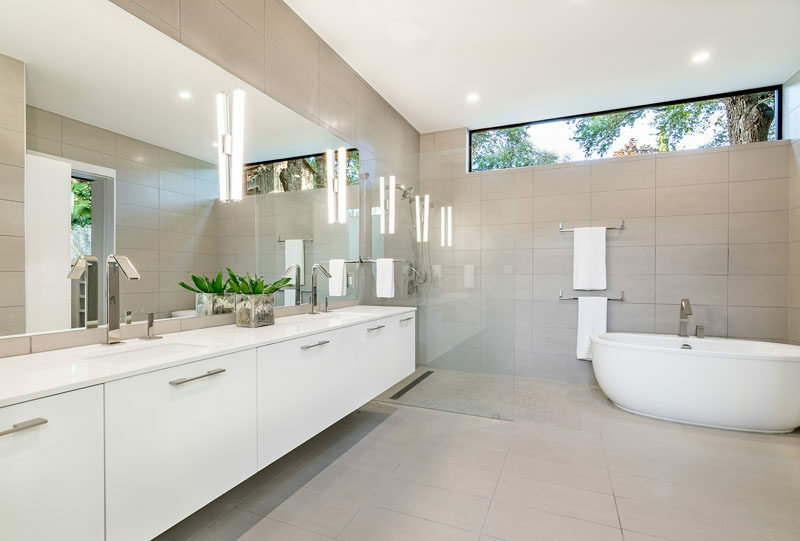 In the bathroom, the colors have been kept neutral, adding to the light and airy feeling of the home.